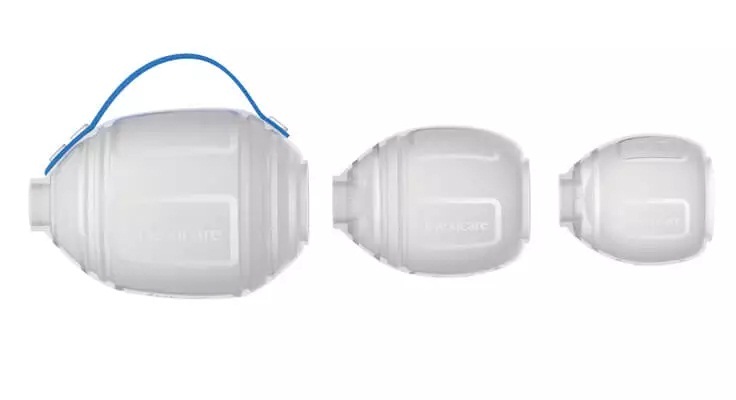 Flexicare’s range of ergonomically designed Single Use Manual Resuscitators with higher levels of Oxygen delivery and pre-fitted components in quick-to-open packaging, provide fast effective care, even in the most difficult situations. Quick-to-open packaging and pre-fitted mask minimise set up time. 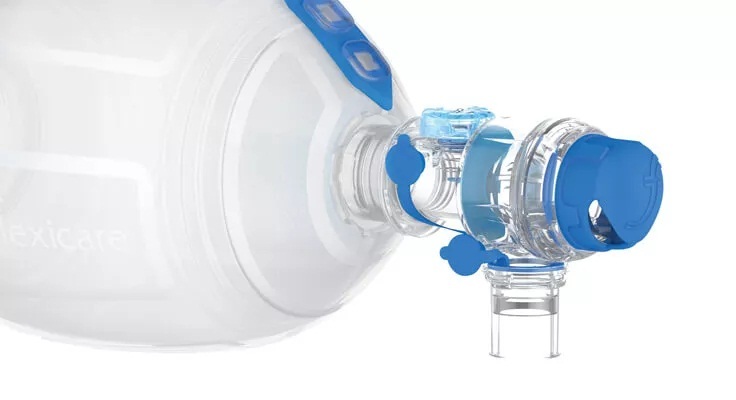 Additional devices, such as a PEEP valve or Manometer, are fitted without removing the Resuscitator from the patient, so ventilation can begin immediately and continue uninterrupted. Clear packaging is large enough to expand the device for routine testing, whilst the tear-off strip assures the user that the contents are uncontaminated. Lightweight construction, low resistance valves and fast recoil bag reduce user fatigue, even during lengthy ventilations. Facilitating single handed bag use, the strap permits the other hand to secure the mask or airway device. Double handed compression for adults remains possible if required. 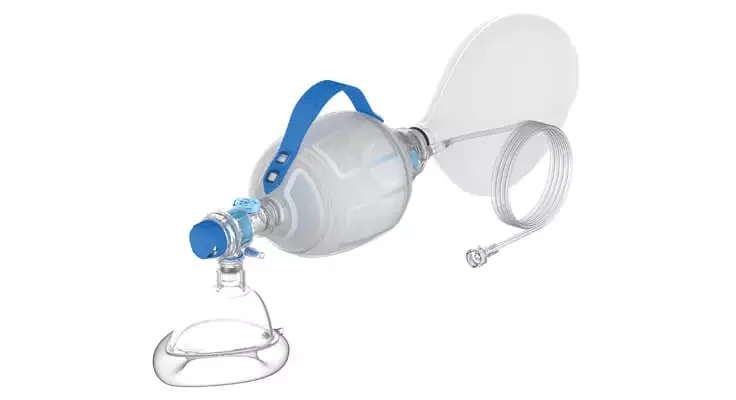 All fittings are International Standard2,3 mask, ET Tube, Laryngeal Mask and Oxygen line connections, avoiding potential delays. 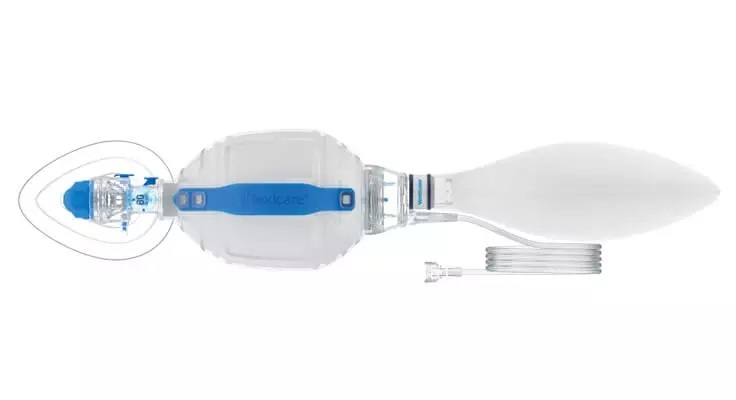 An unrestricted view of correct valve function, and reduced bulk that enables the user to verify mask or airway position and observe the patient. 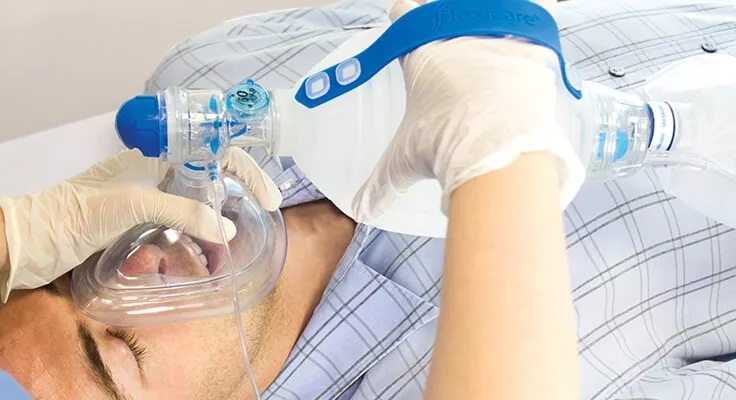 Located as close as possible to the patient airway for maximum capnography trace accuracy and reliability, the capless self-sealing port eliminates the risk of gas leakage when not in use. The MDI port is angled so medication is directed into the patient airway, maximising effectiveness and reducing waste. Fitted directly into the exhalation port, the PEEP valve can be adjusted between 5 and 20 cmH2O to help prevent lung collapse.